The Pharisees’ question echoes the relatively well-known debates between the two Pharisaic schools of Rabbi Hillel (flourished ca. 30 BC–AD 10) and Rabbi Shammai (flourished ca. 20 BC–AD 30). Shammai held to a stricter interpretation of Jewish matters and taught that the Torah gave relatively few reasons for valid or “lawful” divorce. Hillel espoused an extremely open or liberal position on the question of what could constitute a “lawful” reason for a man to divorce his wife. Something close to the position of Hillel likely was dominant, or at least more widely held, in the Judaism of Jesus’ day. The Pharisees’ question about divorce “because of any charge” (19:3) seems to be asking Jesus to declare whether his own views on lawful divorce conform to those of Hillel. We need not know precisely how his opponents hoped that Jesus would answer; it is enough to know they apparently have set the terms of the debate by assuming the liberal position of Hillel. As he does so often (cf. 12:1–14; 15:1–20), Jesus alters the terms of the debate. He asks a rhetorical question that, in effect, accuses the Pharisees of being unable to read their own Scriptures rightly or, more specifically, to know which particular Scripture passage they should be reading when it comes to the issue of God’s plan for and Law regarding marriage.20 God had given the Torah to Israel through Moses, but now these leaders in Israel do not understand the Word of God. Rather than engaging in the debate of what is included in the phrase “an uncleanness of a matter” (‘erwat-dabar), in the context of Moses’ allowance for divorce in Deut 24:1–4, Jesus redirects the focus back to Gen 1:27 and 2:24. In God’s original design—“from the beginning” (Mt 19:4)—he made his human creatures male and female (Gen 1:27; Mt 19:4–5). That same Creator also said that a marriage happens among the descendants of Adam and Eve when a man leaves his parents and alters (in a way, demotes) his relationship with his parents in order to be joined to his wife. As a result of that leaving and cleaving, the two distinct people become a one-flesh union. Jesus redundantly and therefore emphatically draws a conclusion (hoste, “so then,” 19:6a): from these passages it follows that a husband and wife are no longer to be regarded as distinct or separable from one another. Rather, they have become in some remarkable and mysterious fashion the “one flesh” that God refers to in Gen 2:24. 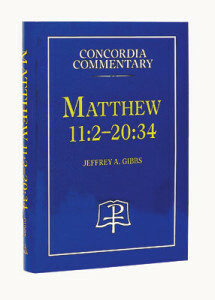 From Matthew 11:2–20:34 (Concordia Commentary series), pages 949–51 © 2010 Concordia Publishing House. All rights reserved. Some footnotes have been omitted. 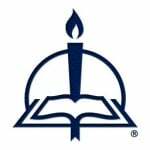 To order this commentary, please contact CPH at 800-325-3040 or visit www.cph.org.